Our B&B Brenta is located at the foot of Monte Peller which offers a variety of walks. At the top of Monte Peller (2.319 m) you have a 360 degrees free view on the Brenta Dolomites, Val di Non, Val di Sole and Lago di Tovel. After an intense walk, it is a good rest in Rifugio Peller (2.020 m) where meals and drinks are served. Monte Peller is easily accessible, you can start the walk at approximately 1.700 mt high. A major attraction in this region is Lago di Tovel situated at 1.180 mt, a beautiful mountain lake with aquamarine blue crystal clear water and fantastic views of the Brenta ​Dolomites. 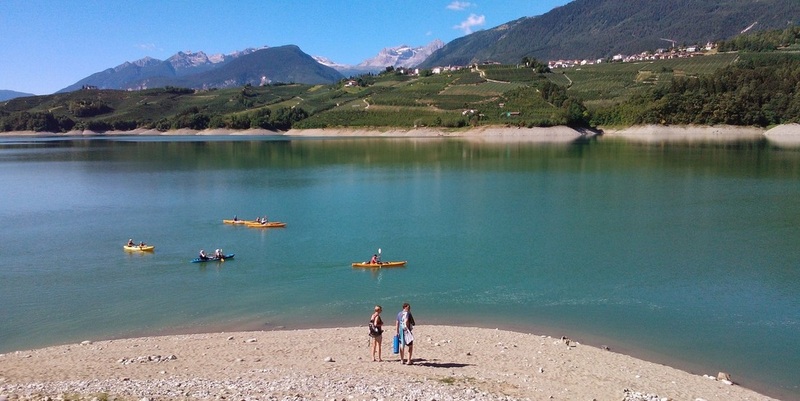 This is an ideal trip for families with little children because you can do a short walk around the Lake. More fanatic hikers can also go higher into the mountains. One valley further than Val di Non, about 5 km away from our B&B, lies 'Val di Sole' with the wild Noce River. This valley offers a huge variety of activities like alpine walking, rafting, (Nordic) walking and (downhill) mountain biking with the possibility to transport your bike to the starting point by train (Trento-Male). 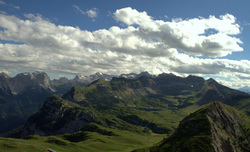 A top hike is going to the peak of Monte Vioz (3.645 meters) one of the highest mountains in Trentino. Another beautiful and less intensive hike leads you to Val di Peio, Rifugio l' Archer with a view on Monte Cevedale (3.769 meters), the highest peak in Trentino. After a strenuous day, you can freshen up in Lago di Santa Giustina. You can find a beautiful little Beach below the village of Banco, at Bar Chalet al Lago. 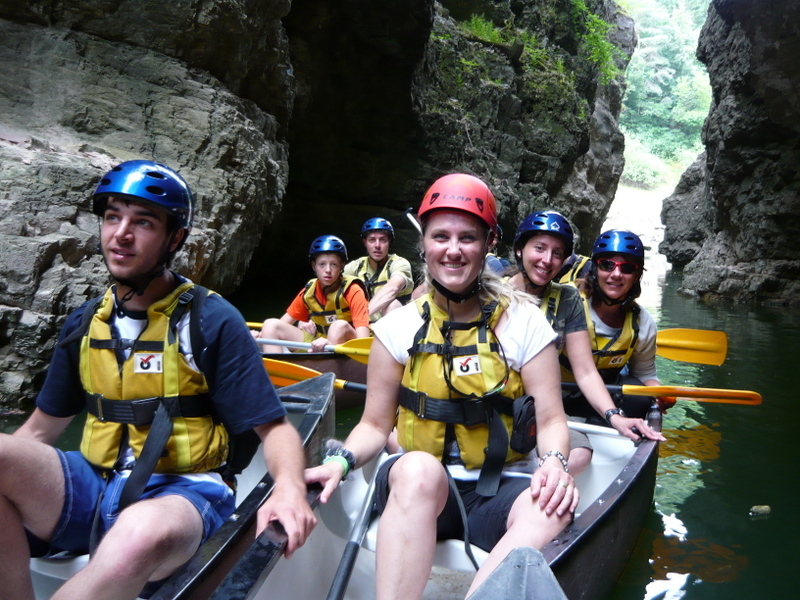 Besides swimming, it is also possible to go canoeing at the lake and to explore the beautiful canyons of the Val di Non. The Lake, which lies at 535 m, is not yet exploited for tourism. 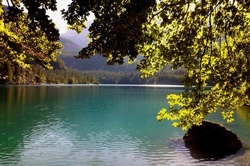 It has crystal clear water and a very comfortable temperature. Only people from the immediate area and a handful of tourists are swimming and canoeing in the Lake. A picnic on the banks of the lake is possible. If you wish, we can be your personal guides during walks.